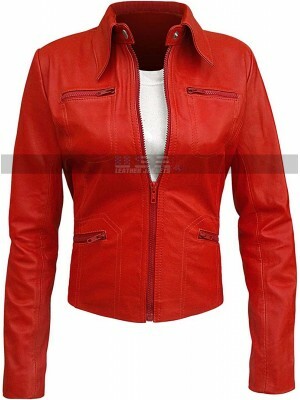 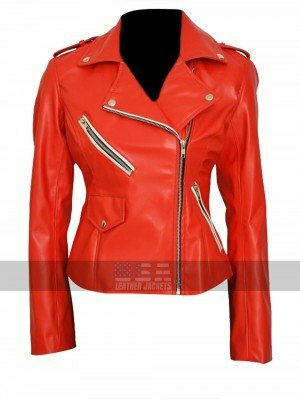 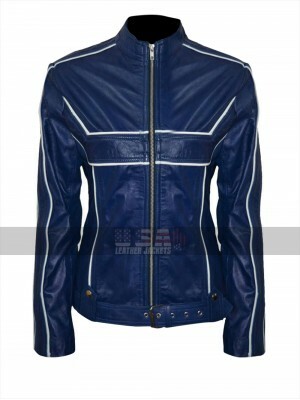 This red biker leather jacket for ladies is a fantastic outerwear for all ladies passionate about biking. 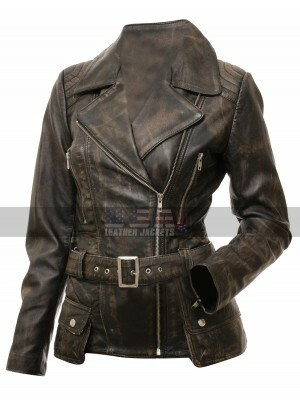 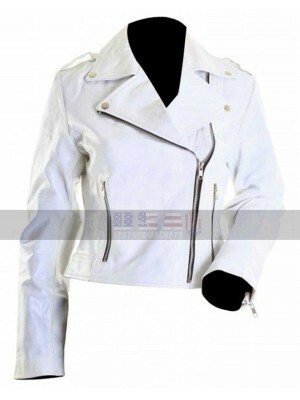 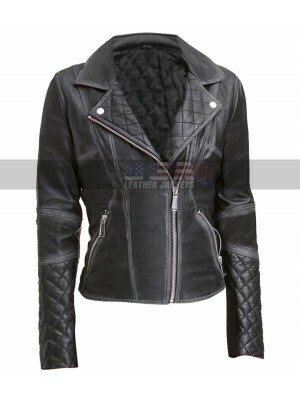 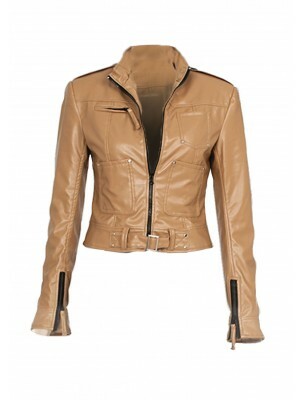 It is a replica of the Acne Studios leather jacket worn by famous singer and actress Demi Lavoto. 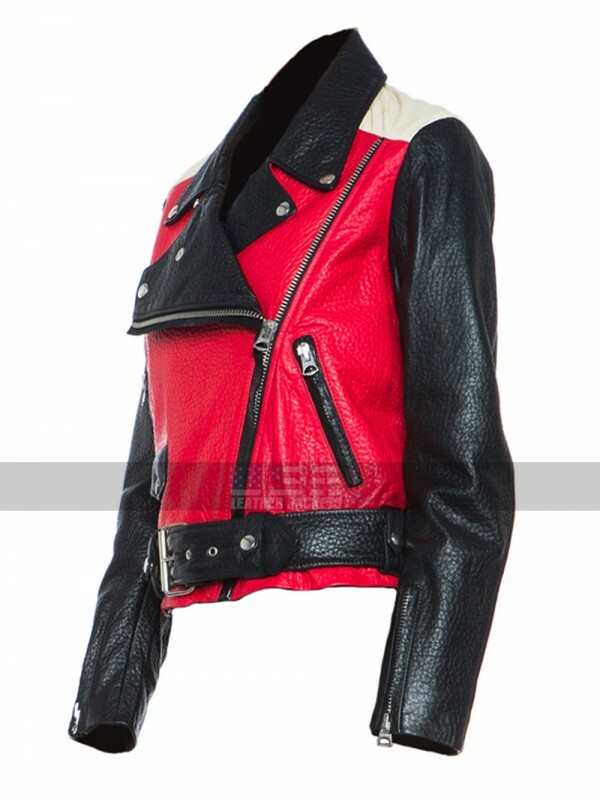 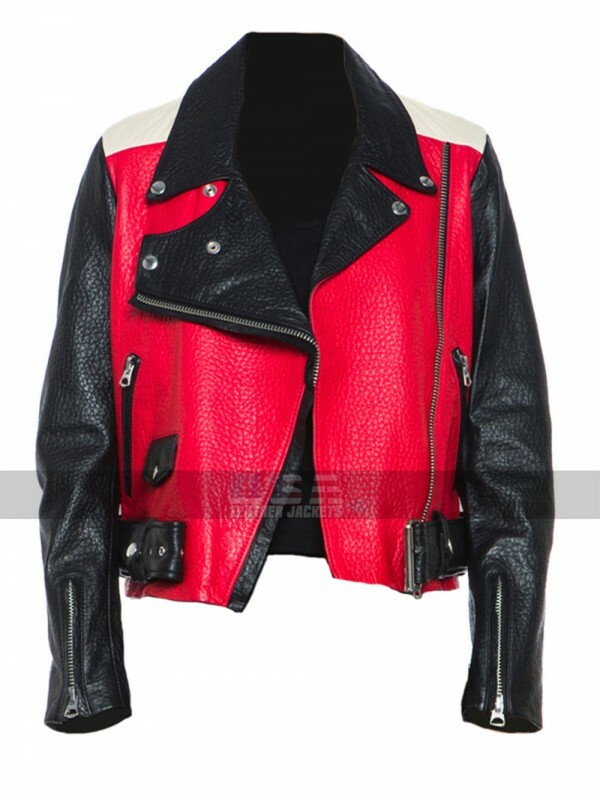 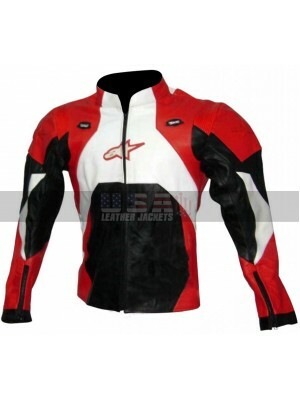 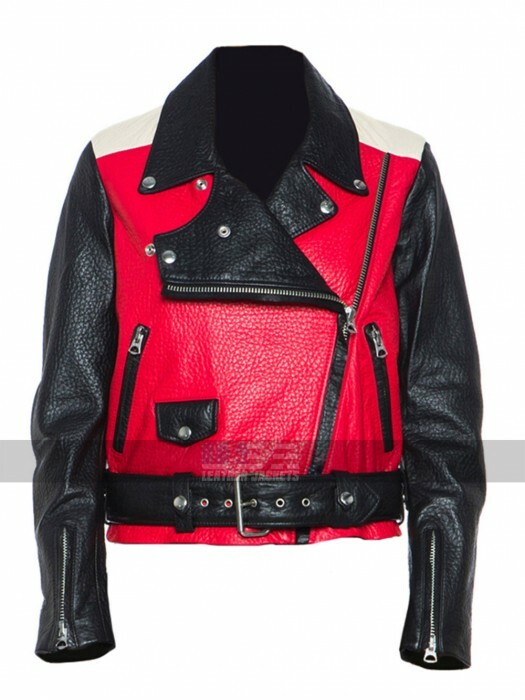 This red and black leather jacket is so stylish and fashionable that all eyes will be on you whether you are riding your bike or masking an appearance in a gathering. 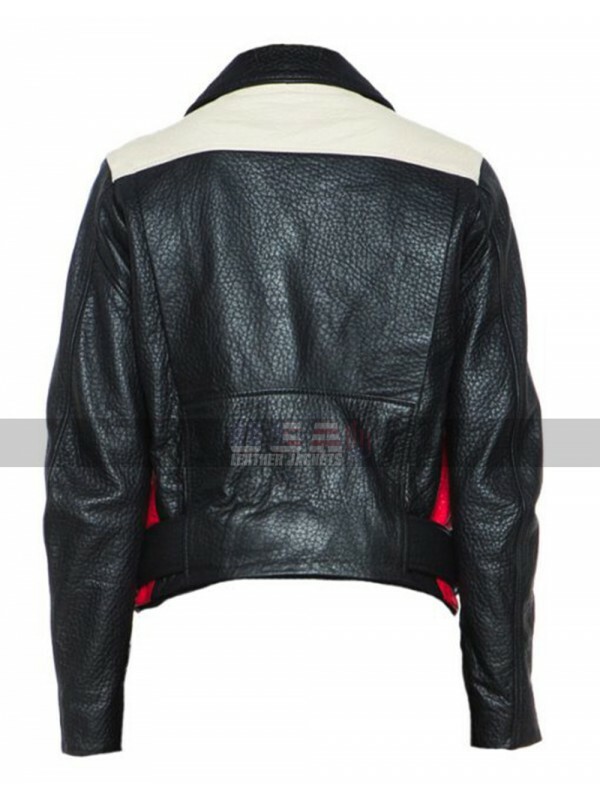 It has red and black design at the front while it boasts a white and black pattern on the back side. 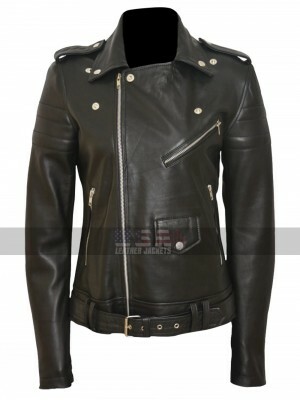 It has large collars that are extended down the neck to present a beautiful design. 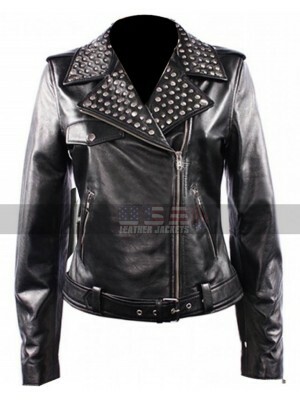 Metallic studs on this collar and an asymmetric closure at the front add to the beauty of this Demi Lovato Jacket. 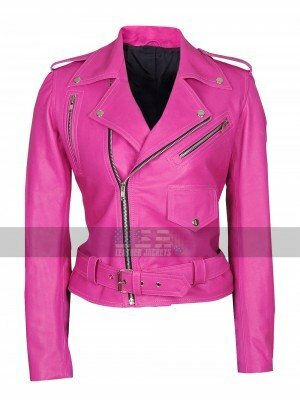 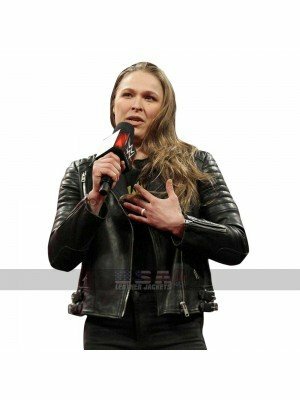 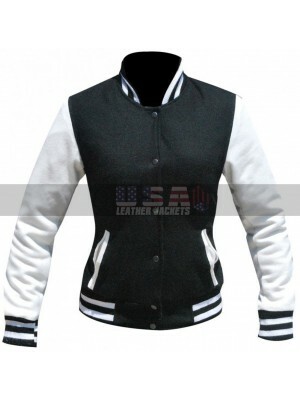 WWE Wrestler Ronda Jean Rousey Biker Jacket There are lad.. 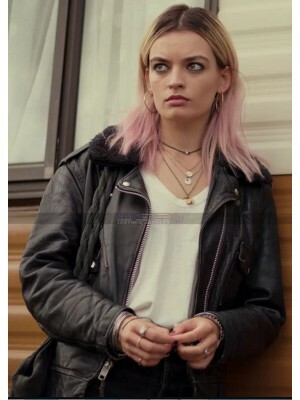 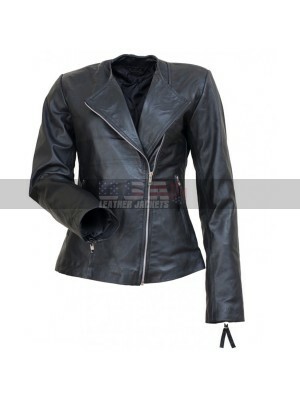 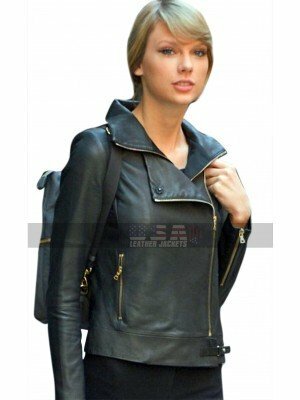 Sanctuary Dr. Helen Magnus Black Leather Jacket Celebrity..
Once Upon a Time Emma Swan Leather Jacket When it comes t..
Women are usually very crazy about their shopping stuff and ..
Nobody could have done a better job with style than the hot .. 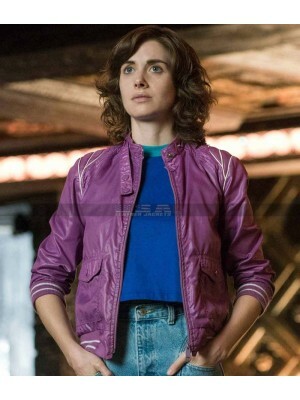 Cheers the glam of a vintage motorcycle jacket and get on th..
Alison Brie Glow Costume Ruth Wilder Purple Leather Jac..